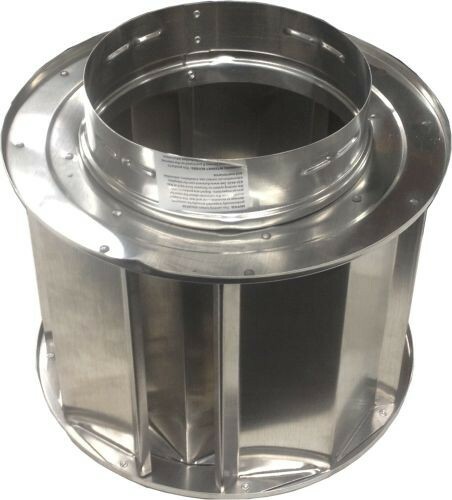 This Aluminum High-Wind Cap with 6 Inch Inner Diameter from the Round Gas Vent series is a Type B gas component and consists of the duralock system for a tight seal. Use for vertical terminations only. Provides improved performance in high wind conditions. For vertical terminations only. DuraVent Type B Gas Vent is designed to meet the rugged demands of the job site. The inner wall is recessed to eliminate damage in handling. DuraVent's innovative system for a lock-tight connection for Type B Gas Vent called DuraLock. See the alignment indicators meet; feel the ends grasp together; hear the snap as the connection firmly locks into place. 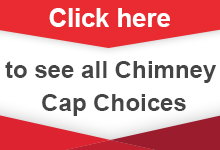 Type B gas vents are not suitable for use with wood-burning or coal applications, industrial ovens, exhaust ranges and hoods, grease or pollution ducting, or as free-standing exhaust vents for high temperature applications. Type B Gas Vent has been engineered to heat up rapidly. It remains hot during the operation of the appliance with minimal condensation in the appliance and vent system. Pipe lengths are available in multiple lengths, 6 to 60 inches, with a full complement of adjustable and rigid fittings.